I&apos;ve been to the wineries around Keuka Lake dozens of times. I work with them constantly, and feel I have a pretty good understanding of their history and significance in the wine industry. But last week, I saw them in a whole new light. Experience! 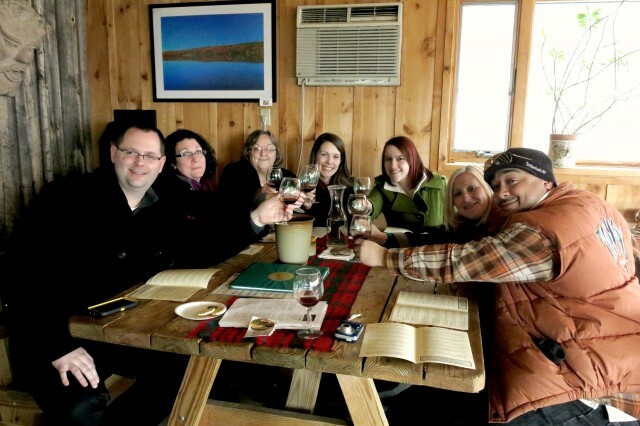 the Finger Lakes, a wine tour company out of Ithaca, has long been putting together a wine tour on Keuka Lake, and I was lucky enough to be part of the test group. Last week, we ventured up to Keuka Lake on what seemed to be one of the coldest, snowiest days of the month - and that&apos;s saying a lot this winter! 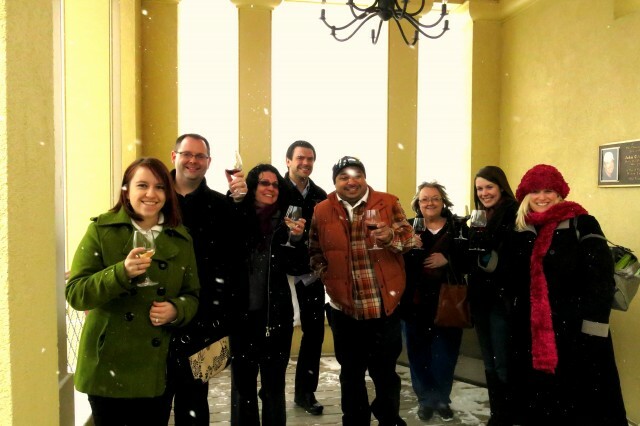 - but despite the howling winds and snow squalls, the wine warmed us, and the tour blew us away completely. Through the Tasting Glass: The Wondrous Wines of Keuka Lake is the brainchild of Laura Winter Falk, owner of Experience! the Finger Lakes. She hand selected four wineries to include on her tour, tying them together for the sake of historical significance and contributions to the Finger Lakes wine story. She likes to think "there&apos;s something in the water," she says. Every time she thinks of innovation in the Finger Lakes, it somehow always occurs around Keuka Lake. (Glenn Curtiss, anyone?) The name of the tour made her think of Alice in Wonderland, she said, and the "Drink me!" potion that made her change sizes. In the same way, Laura believes there&apos;s magic in the waters of Keuka Lake! Although people will be able to book this wine tour by itself (for $135 per person), the Radisson Hotel Corning has put together a phenomenal package around it, featuring not only the tour, but a two-night stay, a $100 gift card to the on-site Ageless Spa (for each guest! ), a four-course dinner at Grill 1-2-5 restaurant, tickets to The Corning Museum of Glass and more! Check out the full details and pricing! Last week, Laura took staff from the Steuben County CVB and Radisson on a test tour, in hopes of not only helping us sell it to others, but giving us a deeper appreciation for this area we&apos;re lucky to call home. Laura is a sommelier, and is very knowledgeable and passionate about wine. The drive to Keuka Lake flew by as Laura quizzed us with history about Finger Lakes wine production - something she does at the beginning of all her tours. Lesson in sparkling wine at Chateau Frank. From pre-Prohibition wineries to famous families, so much of the history of Finger Lakes wine takes place on Keuka Lake. Timed perfectly, the story ends with an introduction to vinifera wines, first brought to the region by Dr. Konstantin Frank from the Ukraine - just as we pulled into the parking lot at Dr. Frank Vinifera Wine Cellars. If you take this tour for no other reason, it should be for the "extras" you get that aren&apos;t available to visitors on a regular wine tasting trip around the lake. Our visit to Dr. Frank&apos;s started with a behind-the-scenes look at Chateau Frank, the building next to the winery where sparkling wine is produced. Learning about the process from the maker himself truly makes you appreciate tasting it that much more. Realizing he touched each bottle more than two dozen times throughout the process opens your eyes to how much craftsmanship and skill goes into the process. The journey continues in the tasting room with an in-depth story of the Frank family and their contributions to winemaking history. Taste the award-winning wines paired with local cheeses while overlooking Keuka Lake and some of the oldest vinifera vines in the country. Dr. Frank&apos;s is offering a 20% discount in the wine shop to all who tour with Experience! the Finger Lakes. The next stop is Heron Hill Winery, where each guest receives a welcome glass of wine upon arrival. After enjoying the view from one of the top ten most spectacular tasting rooms in the world (Travel & Leisure magazine), a gourmet lunch is served, paired with a flight of wine. The lunch was delicious, and I&apos;ll let the picture - and our smiles - speak for themselves. The menu will always be filled with local ingredients - and even in the dead of winter, they did a fantastic job! After taking advantage of the 15% discount in the retail shop, the tour leaves the west side of the lake to journey up the east branch. 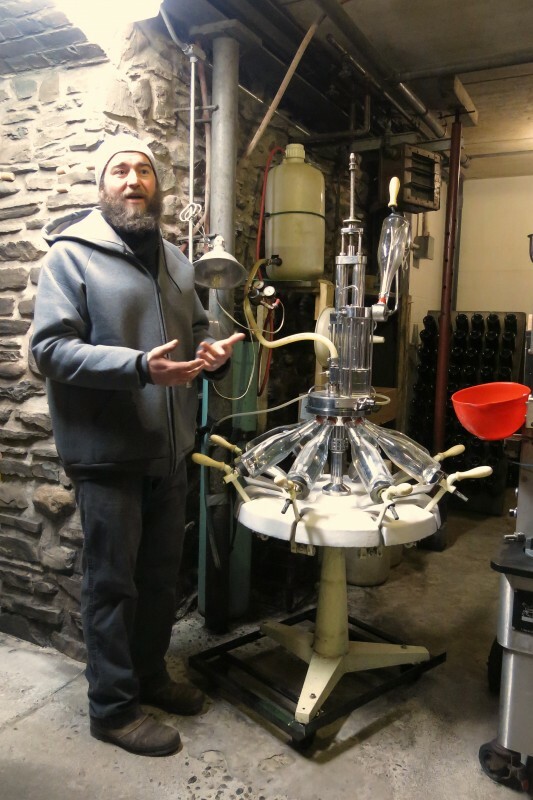 The morning was spent learning about history and tradition - the story of how the Finger Lakes came to be such a force in the wine-producing world - and the afternoon focuses on exploring the innnovation currently taking place on Keuka Lake. 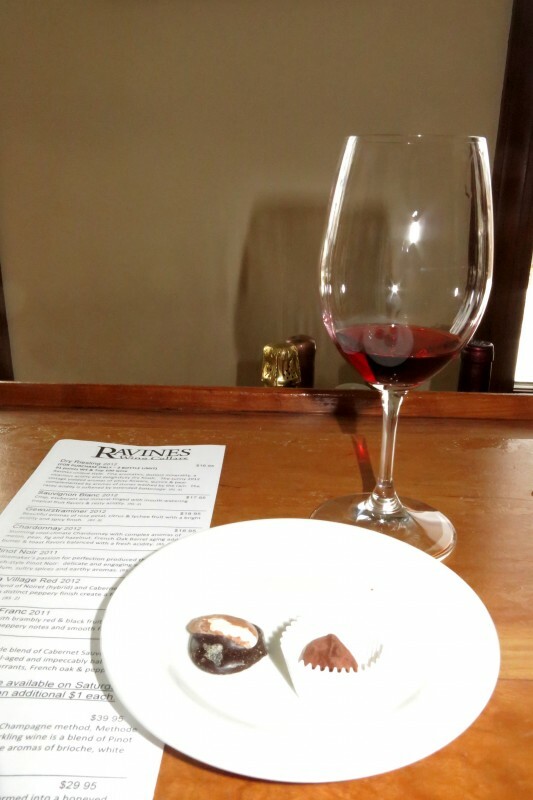 Ravines Wine Cellars pairs its award-winning dry European-style wines with various kinds of locally-made chocolates. It&apos;s an experience that will certainly enhance all your senses! 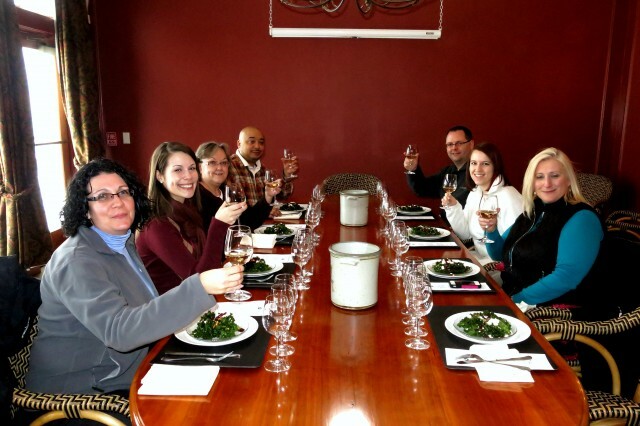 McGregor Vineyard offers a cozy tasting experience with guests seated around a table. You&apos;ll get to taste wines made from varietals grown nowhere else in the region, one of which is the famous Black Russian Red, which has an almost cult-like following among its fans. Both wineries will also offer a discount to Laura&apos;s groups. 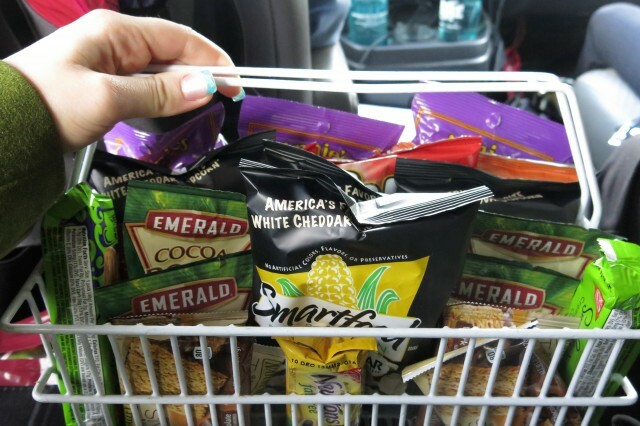 Much appreciated on the ride home is the snack basket and souvenir water bottles Laura provides. She surprised us all with several mementos to help us remember our experience on the wine trail - something she does for all her groups. Needless to say, I thought the experience was exceptional. I had a little prior knowledge about the tour, but it exceeded my expectations in every possible way. From the fun way she explained the history, to the deep appreciation you gain for the wine, to the many extras the wineries include for Laura&apos;s groups, I thought the tour was top notch. If you&apos;re someone who enjoys learning about what it is you&apos;re tasting, and you want to be treated like a VIP, this is certainly the tour for you. And remember to check out the great deal the Radisson Hotel Corning has put together. Booking it will only help make a phenomenal experience even better. Note that there are select weekends for this tour, but more dates will be added soon. 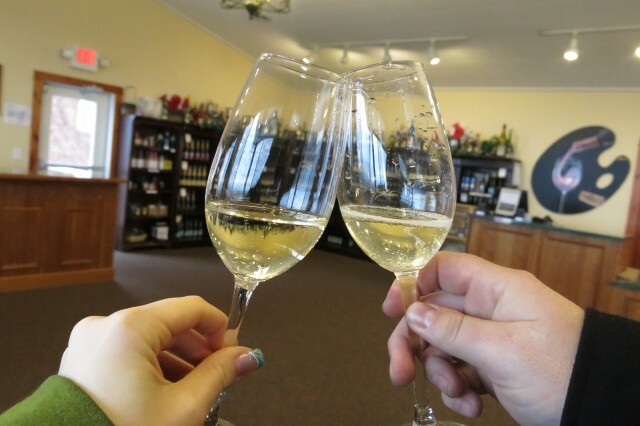 Cheers to a wonderful exploration of Finger Lakes wine! 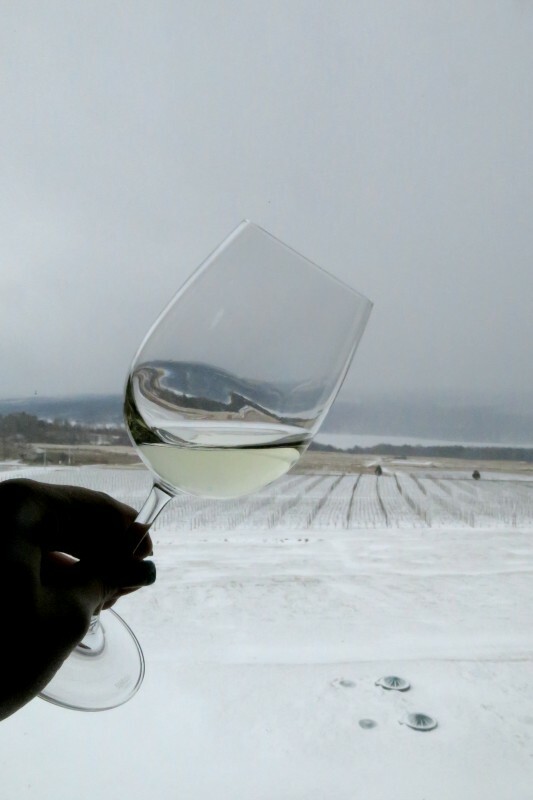 Cheers from snowy Keuka Lake!